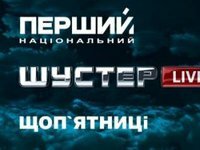 The National Television Company of Ukraine (NTCU) won't renew its contract with Savik Shuster Studio regarding the broadcasting of the Shuster Live talk show on First National Channel, after the contract expires on December 31, NTCU Director General Zurab Alasaniya said. "NTCU and Savik Shuster Studio LLC concluded the agreement dated March 6, 2014 on the creation of an audio-visual product. According to provision of the contract 8.1, it expires on December 31, 2014. It also foresees an automatic renewal, if there's no notice of impossibility of renewal," reads the letter to Savik Shuster that Alasaniya posted on his Facebook page on Monday. "Taking into account considerable changes in NTCU programming for 2015, connected to the necessary implementation of government orders, and NTCU putting a lot of money into the preparation of new TV projects..., [we] consider it necessary to inform [Savik Shuster Studio] of the impossibility of renewal with this letter," reads the letter. Earlier, Alasaniya said that First National Channel wouldn't renew the contract with Savik Shuster Studio. According to the company's leadership, this issue was already discussed with Shuster five months ago. NTCU Director General also said that First National Channel would create their own political talk show, and launch it in February. The show's format is being created at the moment. It is planned that people in the audience won't vote during the program, but they actively take part and ask questions.